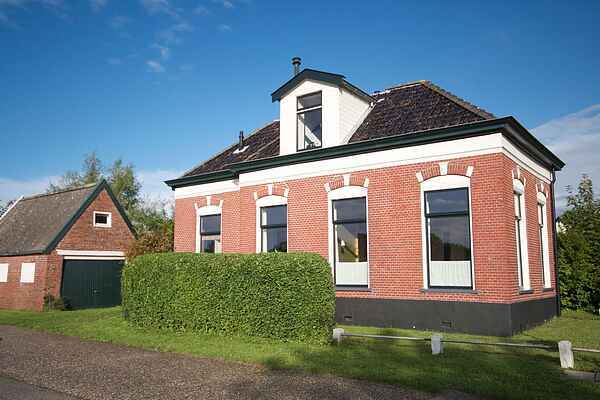 This holiday house is located in the well-known Groningen village of Pieterburen, within walking distance from the tidal flats. Thanks to the house's central location, practically all the facilities in Pieterburen are within walking distance. The holiday house offers space for 6 people. The spacious living room and its cosy woodstove give the house a wonderful ambience. In addition, the bathroom offers everything you might need, equipped with a large bathtub and a rain shower. The highlight of the house is the lavish garden with a variety of terraces and a view of the fields. Pieterburen is renowned for its seal sanctuary, definitely a must-see destination for the kids. Sick seals are brought to this rehabilitation centre to be cared for. But Pieterburen has even more to offer. It is the centre for mudflat hiking and the beginning and end of the Pieterpad trail. You can take short walks across the flats or even across the sea floor itself to the island of Schiermonnikoog. Of course you can also take the boat to Schiermonnikoog for the day if you prefer; the boat leaves from Lauwersoog. Lauwersmeer National Park is also just a short distance away and offers cycling, swimming, sailing, surfing and birding you can spot unusual species amidst the natural beauty of the park. A daytrip to the city of Groningen is another nice activity. You can climb the Martinitoren, go shopping or grab a seat at one of the many cafes in the city centre.